We have a new paper on compiler security appearing this morning at EuroS&P. Up till now, writers of crypto and security software not only have to fight the bad guys. We also have to deal with compiler writers, who every so often dream up some new optimisation routine which spots the padding instructions that we put in to make our crypto algorithms run in constant time, or the tricks that we use to ensure that sensitive data will be zeroised when a function returns. All of a sudden some critical code is optimised away, your code is insecure, and you scramble to figure out how to outwit the compiler once more. So while you’re fighting the enemy in front, the compiler writer is a subversive fifth column in your rear. It’s time that our toolsmiths were our allies rather than our enemies. We have therefore worked out what’s needed for a software writer to tell a compiler that a loop really must be executed in constant time, or that a variable really must be set to zero when a function returns. Languages like C have no way of expressing programmer intent, so we do this by means of code annotations. Doing it properly turns out to be surprisingly tricky, but we now have a working proof of concept in the form of plugins for LLVM. For more details, and links to the code, see the web page of Laurent Simon, the lead author; the talk slides are here. This is the first technical contribution in our research programme on sustainable security. I’m at the IEEE Symposium on Security and Privacy, known in the trade as “Oakland” even though it’s now moved to San Jose. It’s probably the leading event every year in information security. I will try to liveblog it in followups to this post. ACM Queue has posted my August 2012 interview on research into the hardware-software interface. We discuss the importance of a whole-stack view in addressing contemporary application security problems, which are often grounded in how we represent and execute software over lower-level substrates. We need to consider CPU design, operating systems, programming languages, applications, and formal methods — which requires building collaborations that span traditional silos in computer science research. I also consider the impact of open source on software security research methodology, and how we might extend those ideas to CPU research. 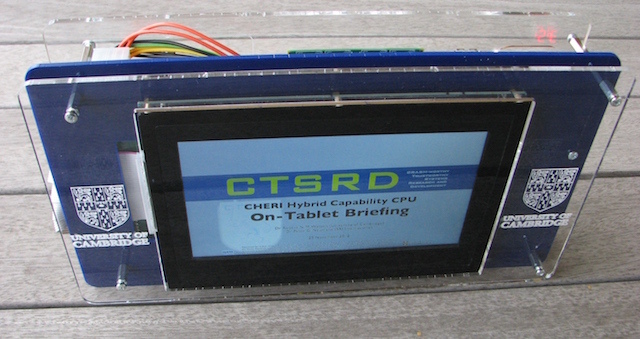 A motivation for this investigation is our experimental CHERI hybrid capability processor, part of the CTSRD Project, a long-term research collaboration between the security, operating systems, and computer architecture groups at the University of Cambridge Computer Laboratory and the systems and formal methods groups SRI International Computer Science Laboratory. We are pleased to announce a job opening at the University of Cambridge Computer Laboratory for a post-doctoral researcher working in the areas of security, operating systems, and computer architecture. We are seeking a Post-doctoral Research Associate to join the CTSRD and MRC2 projects, which are investigating fundamental revisions to CPU architecture, operating system (OS), programming language, and networking structures in support of computer security. 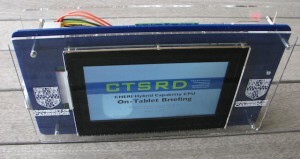 The two projects are collaborations between the University of Cambridge and SRI International, and part of the DARPA CRASH and MRC research programmes on clean-slate computer system design. This position will be an integral part of an international team of researchers spanning multiple institutions across academia and industry. The successful candidate will contribute to low-level aspects of system software: compilers, language run-times, and OS kernels. Responsibilities will include researching the application of novel dynamic instrumentation techniques to C-language operating systems and applications, including adaptation of the FreeBSD kernel and LLVM compiler suite, and evaluation of the resulting system. This week, my contribution to our three-paper Thursday research reading list series is on capability systems. Capabilities are unforgeable tokens of authority — capability systems are hardware, operating, or programming systems in which access to resources can occur only using capabilities. Capability system research in the 1970s motivated many fundamental insights into practical articulations of the principle of least privilege, separation of mechanism and policy, and the interactions between program representation and security. They also formed the intellectual foundation for a recent renaissance in capability-oriented microkernels (L4, sel4) and programming languages (Joe-E, Caja, ECMAScript 5). Capability systems have a long history at Cambridge, including the CAP Computer, and more recently, our work on Capsicum: practical capabilities for UNIX. I’ve selected three “must read” papers, but there are plenty of other influential pieces that, unfortunately, space doesn’t allow for!